The Crockett Rocket is a 26 ft.
Catamaran with twin 115 hp Evinrudes. Captain Dave is a retired Firefighter/Paramedic and is a US Coast Guard Licensed Professional Guide. 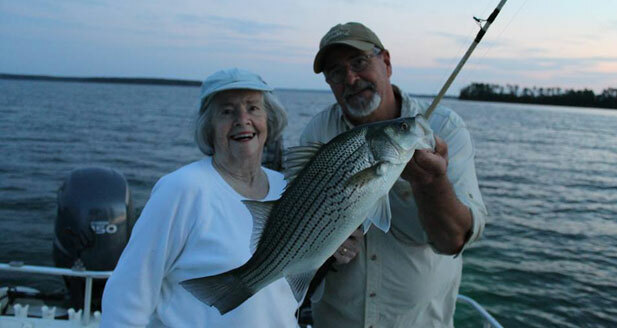 He has been guiding since 1985 and was instrumental in using live blueback herring for bait. 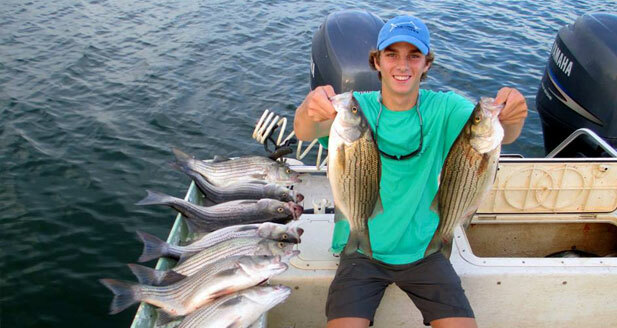 He fished Lake Thurmond as a boy and knows every creek and fish-hole like the back of his hand. When he’s not on the Lake, you can probably find him in a deer-stand or on a tractor. The Crockett Rocket is a 26 ft. Catamaran with twin 115 hp Evinrudes. It is rigged with a T-top and leaning post with live bait tank. 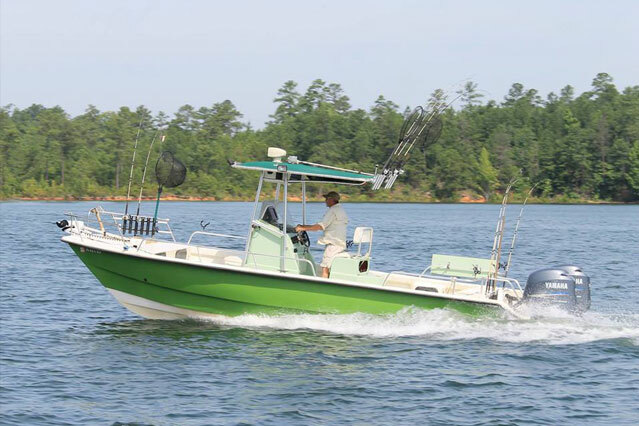 This boat is very stable and rides well in rough water. It can accommodate six adults very comfortably and a wheel-chair if necessary. Captain Dave is a Christian and a family man. 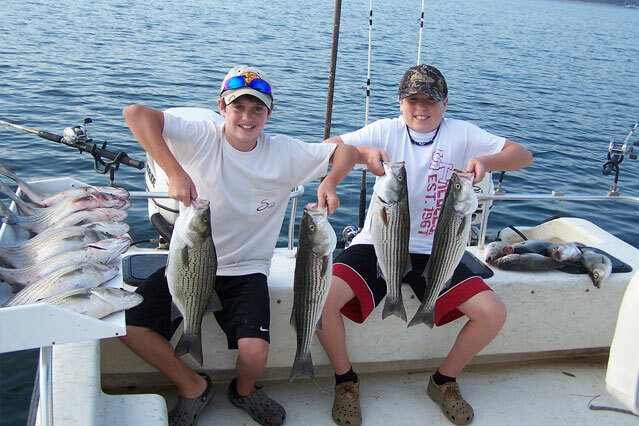 Kids are his favorite clients, so you can expect a trip suitable for the whole family. Bring a cooler with drinks and snacks and enjoy a beautiful day on Lake Thurmond. Posted by: TKelley, on 02/24/2008, in category "The Crockett Rocket Fishing Report"
Posted by: TKelley, on 02/27/2008, in category "The Crockett Rocket Fishing Report"
Posted by: TKelley, on 03/06/2008, in category "The Crockett Rocket Fishing Report"
Posted by: TKelley, on 02/17/2008, in category "Fish Tales"
Posted by: CaptainDave, on 03/20/2008, in category "The Crockett Rocket Fishing Report"
Posted by: CaptainDave, on 03/27/2008, in category "The Crockett Rocket Fishing Report"
Captain Dave is US Coast Guard licensed and a retired firefighter and paramedic. 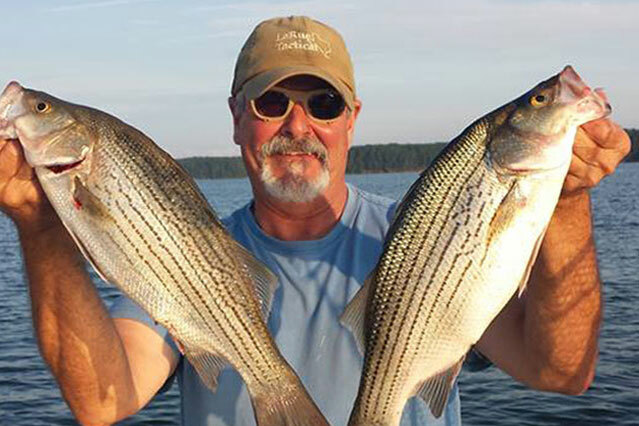 Register with the website today and get FREE access to the Lake Thurmond Crockett Rocket Newsletter packed with great fishing stories, tips and tricks to help make your next fishing trip a success at Lake Thurmond. 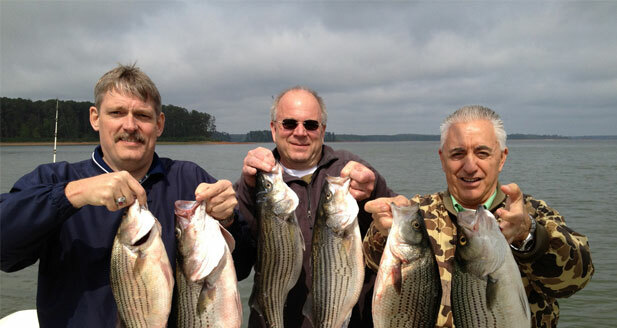 Copyright © 2006 Crockett Rocket Striper Fishing. All Rights Reserved.